Usually published by the government bodies, they are used to show the utilization of public money and how they are performing with it made on a project report template. 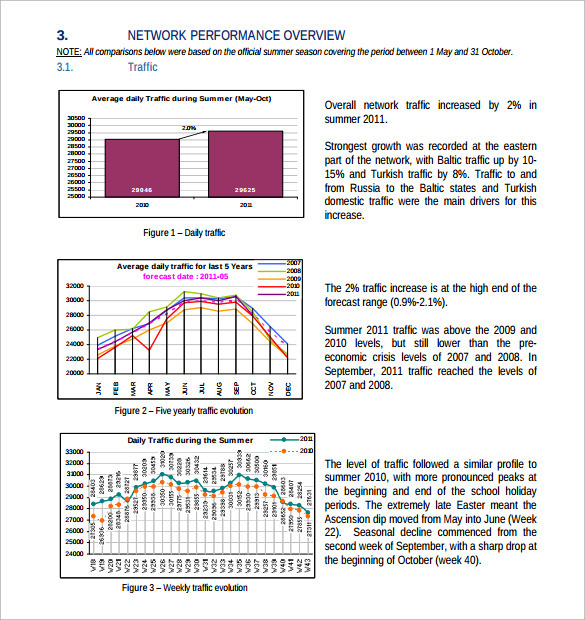 This Report Templates is also used for various other purposes according to type of department. As there are various departments where they are used, the type of format is not fixed. 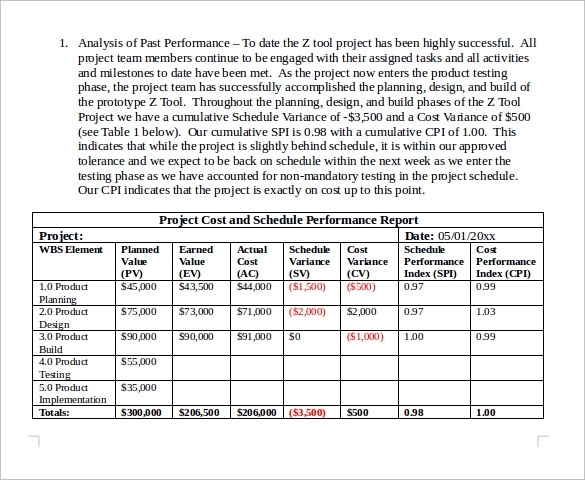 Our site offers various formats of Project Report Templates for free. All you have to do is just download and use them as they all are editable in various formats like PDF and ms word formats all ready to use. This is a sample performance report of a student receiving an institute’s scholarship. It contains the details of the scholarship, the students’ performance, and the period for which the scholarship is valid. 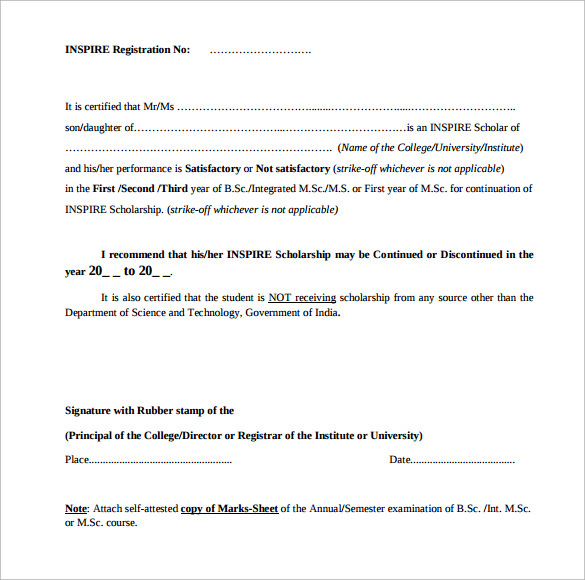 It also states the student is not receiving any scholarship other than this one. 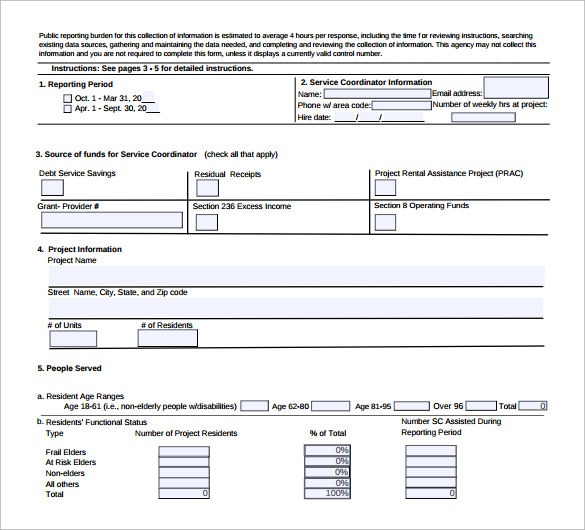 This one is a progress report that is submitted to make a candidate eligible to receive an award or federal grant. 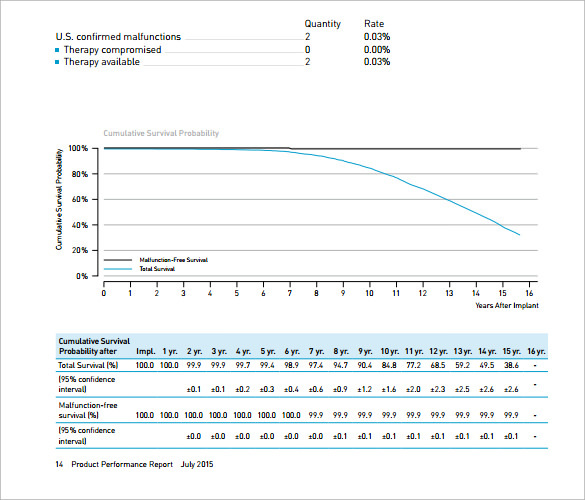 A brief summary of a person’s performance progress is given, so that his improvement can be assessed based on this report. If there is some improvement, the candidate becomes eligible to gain a grant or award. 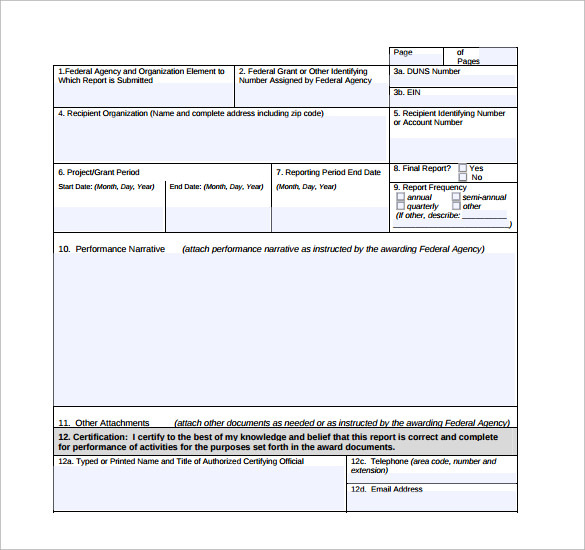 This is another performance report aimed at submitting a semi-annual performance report of individuals. Mostly, this kind of report is used to figure out an individual’s performance, improvement and eligibility for a grant or award. 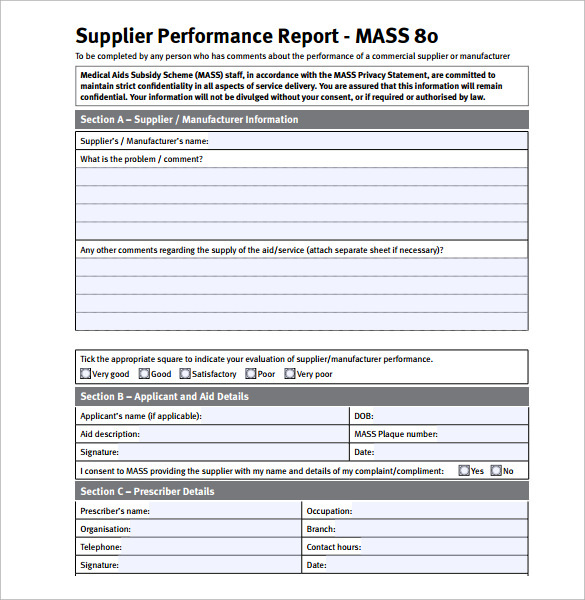 This template is basically designed to give a performance report of a supplier or service provider. There are five degrees of satisfaction level that a customer can tick mark as per his own personal experience. There is space for the problem, and any other comments regarding the performance of the service provider. 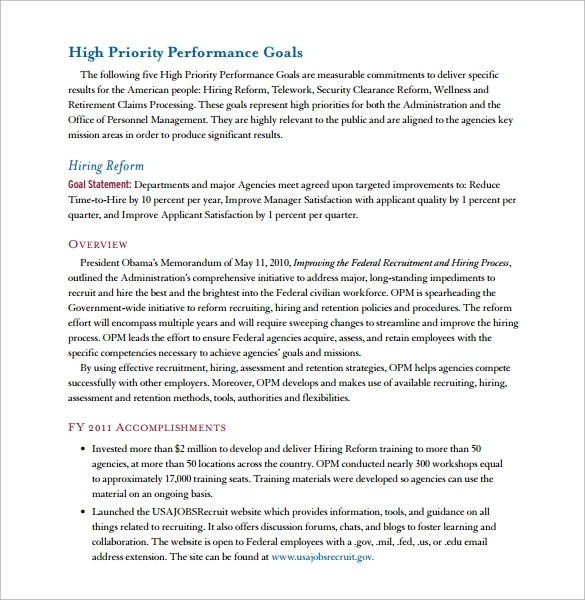 A performance report template is specifically designed to provide an accurate and clear picture of a candidate’s performance in a field. With a duly filled performance report, you can clearly understand the performance levels of a candidate, and set realistic goals for him to make improvements. Based on the final outcome, a candidate is given a certificate, award, grant or scholarship to move ahead. Without a performance report, you will have to randomly select individuals, even if they are not worthy of it. 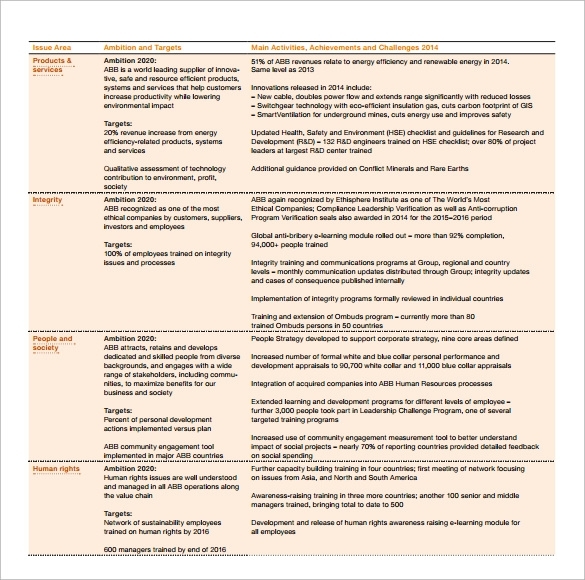 So, use any of these templates to understand the strengths and weakness of the candidates, and prioritize improvement. You may like Staff Report Templates. 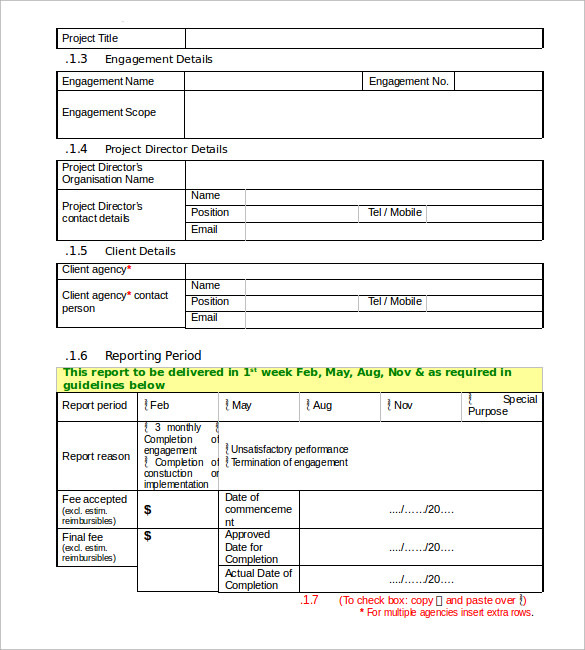 When Do You Need a Performance Report Template? Every area of expertise has specified metrics which need to be assessed in order to make it better and encourage improvement. 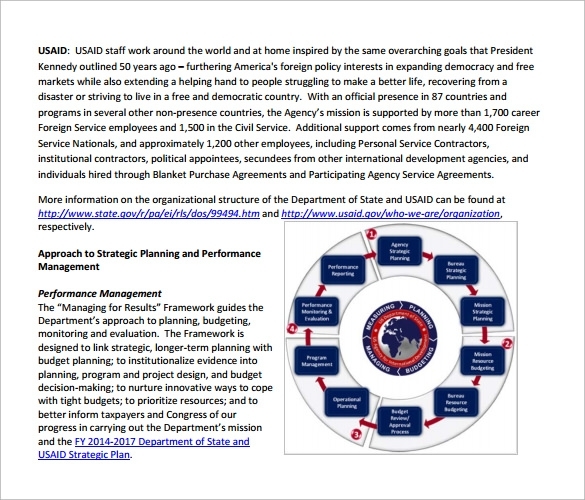 The templates available here are professionally designed to monitor almost every function, including logistics, human resources, stable improvement, operational statistics, financial ability etc. Choosing the right template contributes a lot towards understanding the things that are most important for a field. So, if you are planning to create a performance report and work on its basis, then these performance report templates will prove to be of extreme help to you. 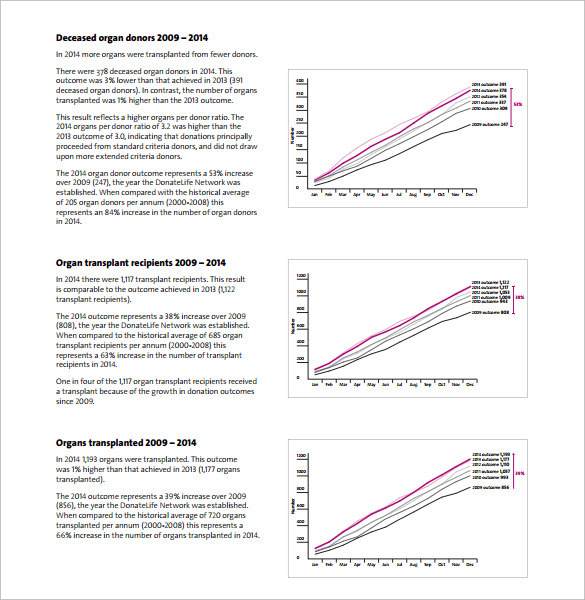 You can also see Case Report Templates. All the performance report templates available here are professionally designed by experienced experts. Each one of them is 100% customizable as per the project and its specific requirements. Almost anyone can use them to assess performance of their individuals, whether it is business, academics or service providers. They are easy to download and use, even if you are absolutely new in the field. If you are planning to assess a candidate’s performance, then it can be easily monitored with the help of these performance report templates. 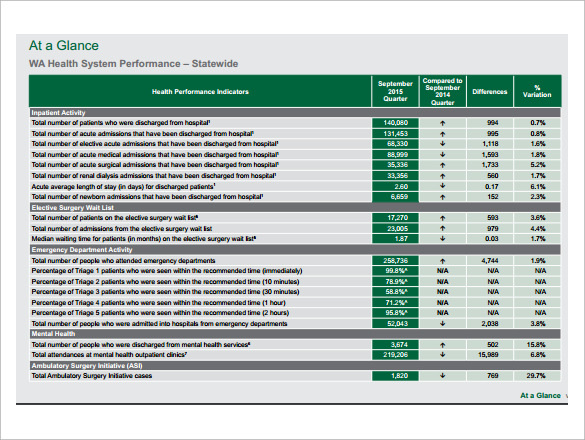 These templates contain all the elements that need to be assessed to create a fully operational performance report.